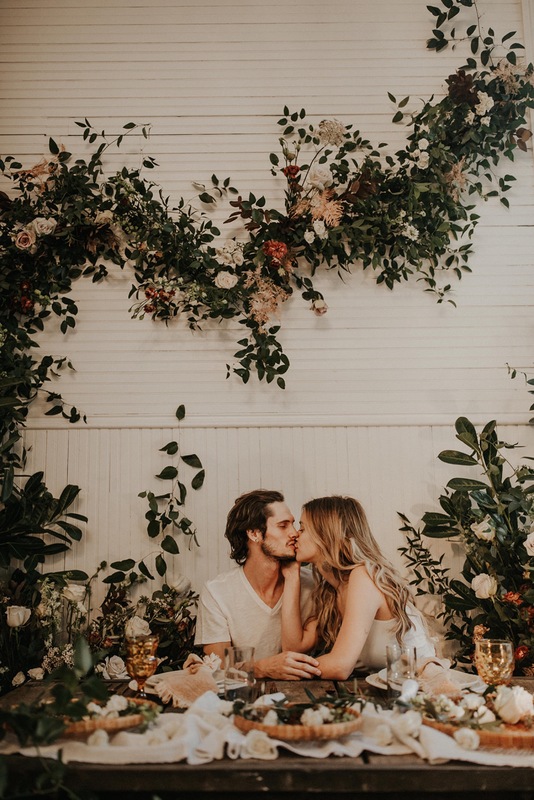 Last October, we traveled to Austin, Texas to help Good Seed Floral style this amazing shoot for their ‘Business & Blooms’ workshop! With their students, Good Seed designed and created this incredible floral and greenery wall installation! We wanted our tablescape to compliment the style and colors of their install, so we opted for a low sweetheart table, a large rug and earth tone, mismatch pillows to give a bohemian, causal vibe! We just love helping other people’s workshops and shoots come to life! For more information about our design and styling services, click here!